Looking for help to escape an addiction to drugs or alcohol? Our local rehab program in Gonzales, TX offers help and hope to those who are struggling to walk away from an addiction. Located in a beautiful historic mansion in the heart of the Gonzales community, our center provides help, resources, and rehabilitation to people from anywhere in the United States. Here are some of the services that we offer to our guests. Eternal Awakenings (EA) provides an on-site program for men and women at our facility here Gonzales. 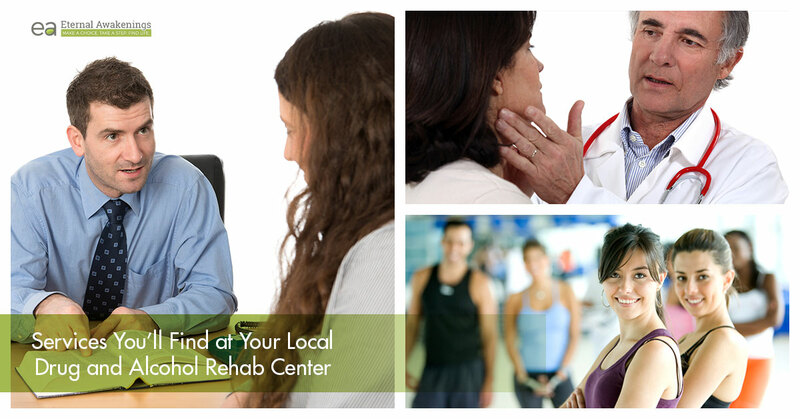 When you enroll in our rehab program, you’ll live in a warm, family setting and participate in our daily schedule. It is our goal and our priority to invest in you, and most people who come into our program genuinely treasure the chance to invest in themselves, build themselves back up, and receive what they need to continue living sober even after they leave EA. One of the things that we believe is an integral part of your recovery is the chance to work with the medical community. We have doctors’ appointments built into our weekly schedule so that you have access to any medications you need, as well as other treatments and consultations by a physician or psychiatrist. Whether you need help with general medical issues or with specific issues associated with addiction, you’ll get the medical service you need. Our on-site chapel, Living Waters Fellowship, is a place where all our residents can attend church, have personal devotional time, or practice musical instruments. We have a Sunday morning and a Wednesday night service, and we consider Living Waters to be the spiritual heart of our entire organization. Eternal Awakenings is also closely connected with the Revival Fitness gym, which is located within walking distance of the main recovery center. When you attend our program, you’ll have free access to this gym, and we encourage all our guests to get regular exercise that will stimulate your overall fitness, brain health, and well-being. Learn more about why physical fitness is an important part of your drug rehabilitation. While some residential rehabilitation programs go to great lengths to limit the visits a resident can have from friends and family, here at EA, we do the opposite. While it’s understandable that some programs feel the need to limit visitation times due to toxic family members or substances being passed to a resident, we don’t do it that way. In fact, we encourage family visits and go out of our way to promote the healing of relationships and the restoration of health to the interactions you have with the people who are the closest to you. We believe in God’s ability to mend even hurtful past situations. Also, once you leave here, your family will often be an integral part of helping to support you to stay sober, and we want your progress to be helped rather than hindered. The fact that family members can stay relatively close to you during your program at EA is one of the things that sets us apart from other organizations. Start the enrollment process today by contacting us. We look forward to hearing from you!